Charlotte Mason was a British educator in the late 1800s and early 1900s. She believed that children are persons in their own right deserving of respect and that they learn best when they are given time to play, create, and be involved in real-life situations. 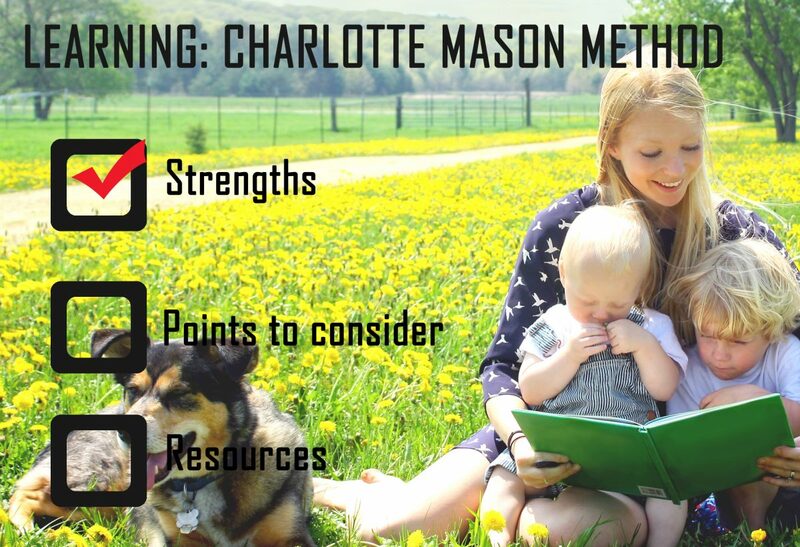 The Charlotte Mason method emphasizes short lessons covering a wide variety of subjects, as well as developing good habits. Students show what they know by giving narrations, participating in discussions, and keeping journals and a history timeline, rather than by taking tests. This style of homeschooling uses rich literature and “living books” rather than traditional textbooks or children’s books. Typical Charlotte Mason homeschool days might be filled: with nature walks and a nature study; journaling; copywork; dictation; handicrafts; art and music appreciation; foreign language; trips to museums; map work; memorization; as well as the usual academic subjects. The days will be scheduled into short blocks of time, alternating easy tasks with more challenging tasks. Afternoons are usually reserved for outdoor time and hobbies.